Dig out your tennis whites for a civilised afternoon soirée of tennis and cocktails, and wave your rackets in a farewell to summer. 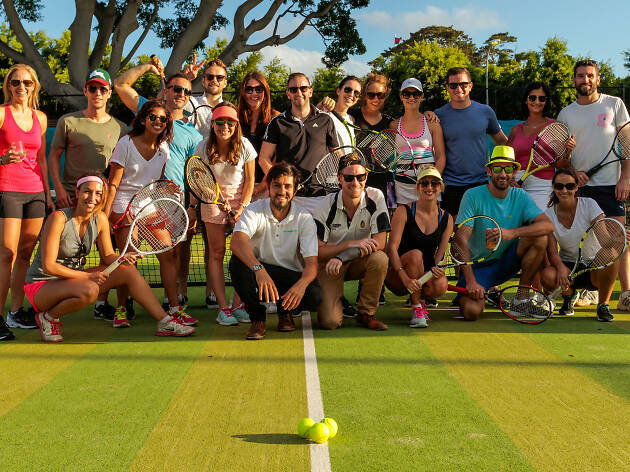 Social Serve is the ultimate excuse to combine sweaty sport and cocktails in the last of Sydney's summer sunshine… a recipe for good times and bad tennis. The charity social raises money to provide access to sport for people with disabilities through the Primary Club. You can buy a spectator ticket for $19, which gets you entry to the Rose Bay tennis club party, or you can enter the event as a player for $39. Both options include a cocktail or booze-free beverage for each guest on arrival. All matches are mixed doubles, so you can either pick your own partner or enter as an individual and be paired up on the day. It's all about having a hit and hitting it off with new friends, so don't worry if you're a total beginner to the sport. On the sidelines there'll be food, drinks and music, plus prizes for best dressed. Competitive types should arrive from 3.30pm to stretch out before their match while they enjoy a welcome drink. Those happy to spend the afternoon winking at the DJ can arrive at any time.